The Premier League Primary Stars Football Tournament is one of the highlights of the Premier League Communities calendar and allows hundreds of youngsters the chance to experience the thrill of being treated like a top-flight footballer. The event, which in 2018 was held at Leicester City's King Power Stadium, runs over two days. On day one, 20 winning schools from regional tournaments in Skegness, Kent, North Wales, West Cumbria and North Devon took part. The next day, it was the turn of the 40 schools who won qualifying competitions to represent each of the 20 Premier League clubs. Both days feature competitions in the Under-11 mixed and Under-11 girls categories. Across both qualifying tournaments in 2018, a total of 14,000 players and 1,735 schools have taken part. The 320 players participating on the Premier League Finals day wear club kit, use the same dressing-rooms that the professionals use on match-day, come down the tunnel to the Premier League anthem and are refereed by Premier League match officials. 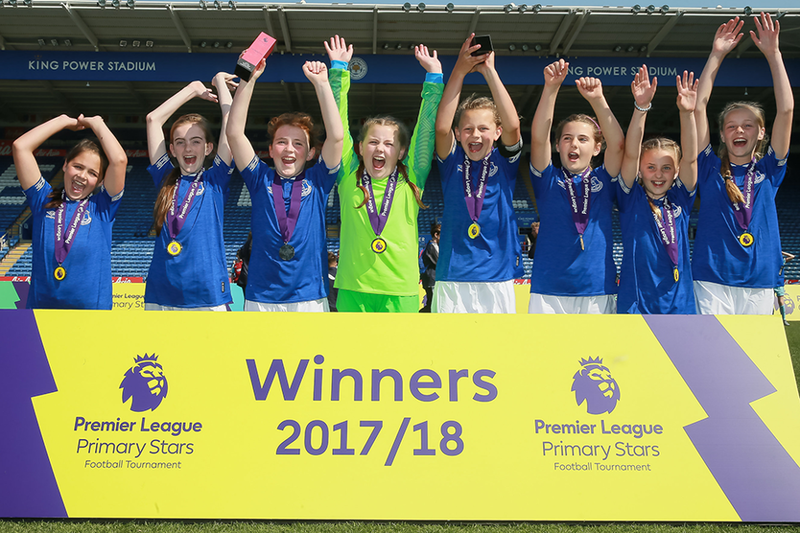 The tournament is one of the competition elements of the PL Primary Stars programme, which inspires children in more than 15,000 primary schools in England and Wales. What is the PL Primary Stars Football Tournament?